A celebration of Charles “Chuck” Bolinger’s life will be held at 10:00 A.M. on Saturday, March 31, 2018 at Bonnerup Funeral Service, 2210 East Main, Albert Lea, Minn. Pastor Shane Koepke will officiate. Visitation will be held Friday, March 30th from 4 to 7 P.M. at Bonnerup Funeral Service as well as one hour prior to the service. Military honors will be accorded by the Albert Lea Area Veterans Organizations. Charles “Chuck” Harold Bolinger, age 70, passed away peacefully with family by his side on Sunday March 25, 2018 at Mayo Clinic, Rochester. Chuck was born March 8, 1948 to parents Harold and Doris (Minks) Bolinger in Janesville, Minn. He was raised in Albert Lea and graduated from Albert Lea High School. Following graduation, Chuck was drafted into the U.S. Army for two years and was very proud of his service. He was a member of the American Legion for 50 years. Chuck married Marcy Bolinger on October 30, 1975 in Blooming Prairie, Minn. Together they made their home in Albert Lea and had one son, Keith. Chuck held several jobs over the years, including driving truck for Wilson’s and Interstate Meat Service and working on the line at Winnebago Industries. 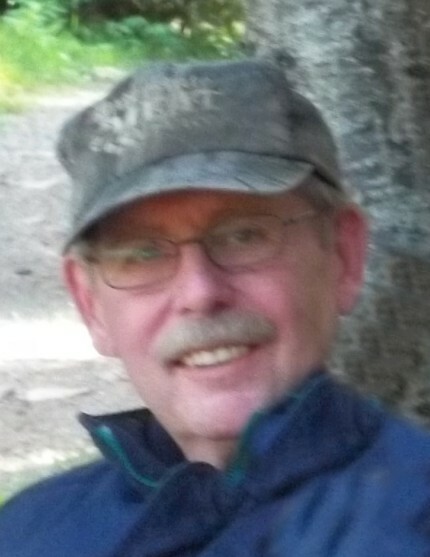 Chuck joined the Cook County ATV Club board in 2012 and was the liaison with the Minnesota Department of Natural Resources during trail construction. He and Marcy were a trail-clearing force and they came up with the idea for the Twin Bridges Overlook picnic area on the trail. They oversaw the development of the site, which is enjoyed by ATVers, mushers and hikers alike. Chuck and Marcy hosted many rides, including the annual Tom Lake Ride & Shoot, at which Chuck enjoyed launching clay pigeons for friends. He also helped on every organized ride, rain, shine or snow. No one ever got lost when Chuck was the ride leader. Chuck enjoyed fishing and grouse hunting up north. He could always be found tinkering on anything mechanical including ATVs, boat motors, and vehicles. He was able to fix just about anything too! Chuck would drop everything he was doing in order to help someone in need. Most importantly, he loved spending time with his family and his four grandchildren. He was extremely proud of all that Keith has accomplished in his life. His four grandchildren were his greatest joy. Survivors include his wife, Marcy; son, Keith (Marie) Bolinger; grandchildren, Kendall, James, Max, and Anja Bolinger; parents, Doris and Harold “Hod” Bolinger; siblings, Rhonda (Mic) Weitzel and Joe (Janice) Bolinger; sisters-in-law, Linda Olson and Jody Swanson; brothers-in-law, Bo (Lorie) Bolinger and Chuck (Patty) Bolinger; as well as several nieces, nephews, relatives, and friends. In lieu of flowers, memorials can be sent to Cook County ATV Club, P.O. Box 455, Grand Marais, MN 55604 to help fund youth ATV safety courses, as Chuck was such a huge advocate for ATV education and safety.